This is a one-of-a-kind item perfect for the home or office. A quality design piece with a Texas Flair. 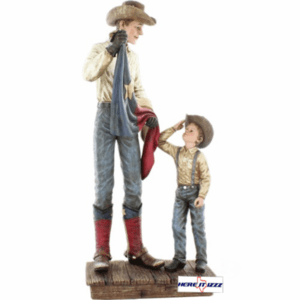 Great looking figurine shows a Texas cowboy folding a Texas flag in front of a young Cowboy.